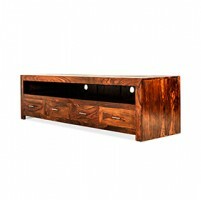 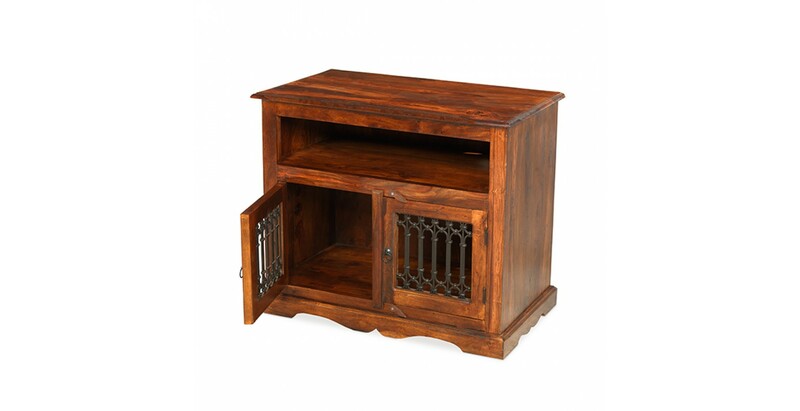 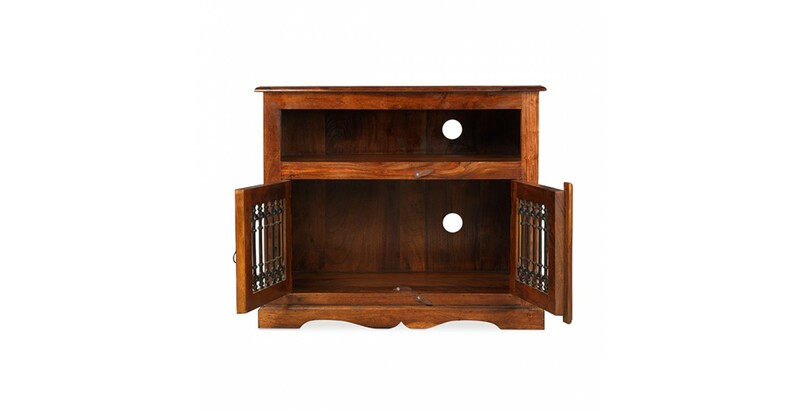 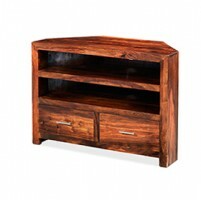 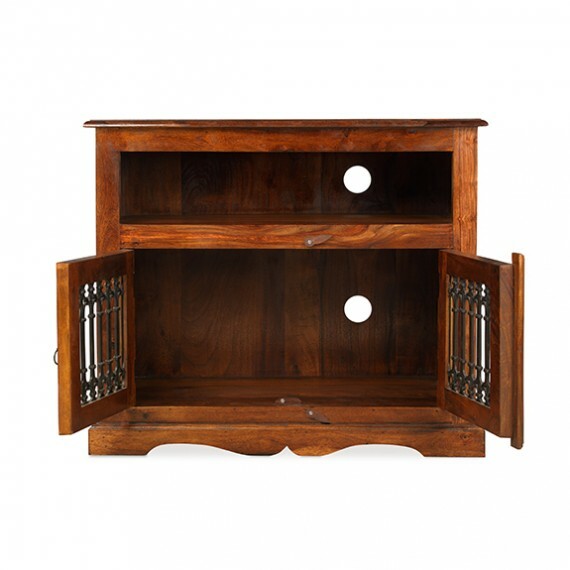 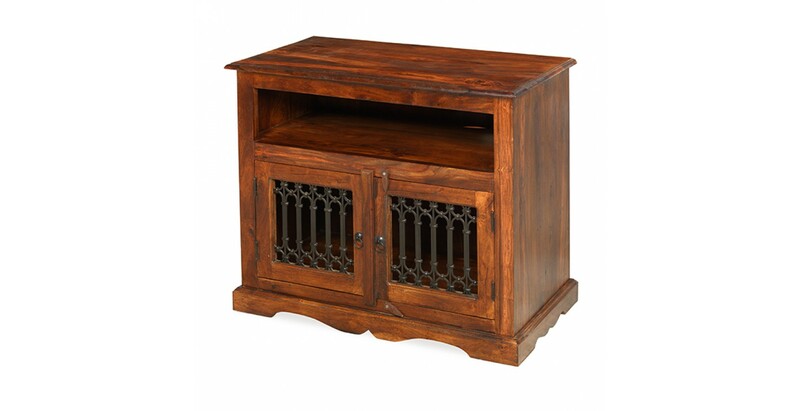 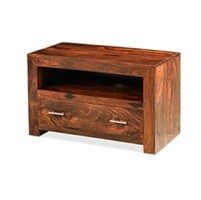 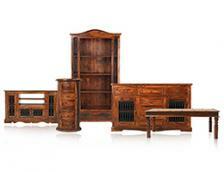 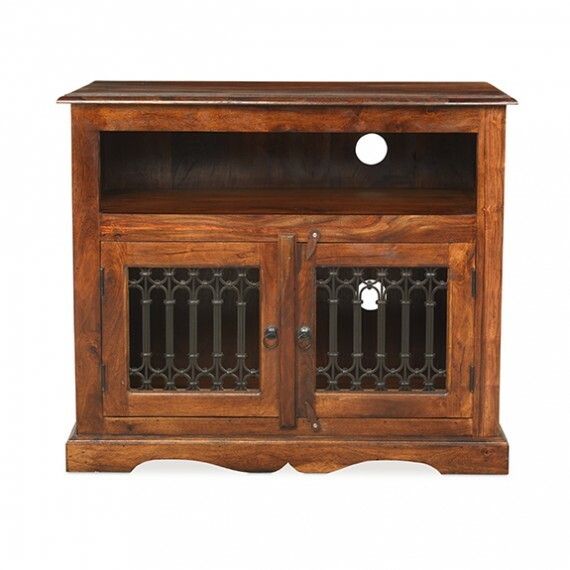 This handcrafted cabinet is sure to be a talking point in your home. 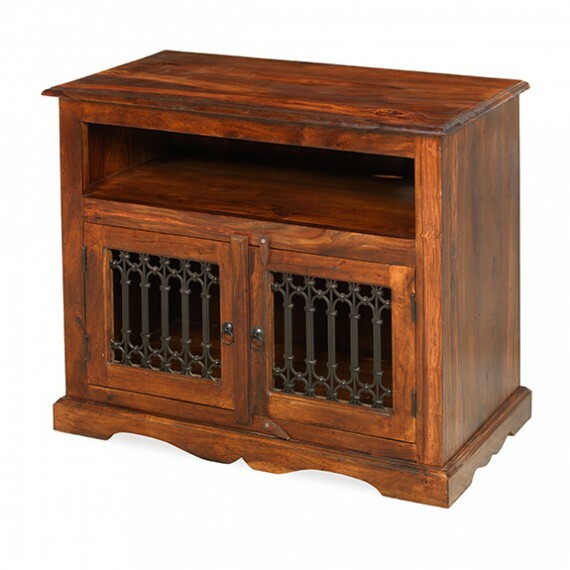 Brimming with colonial-style character, it features intricate wrought iron portcullis work on the double doors, a carved plinth and darkly exotic good looks. 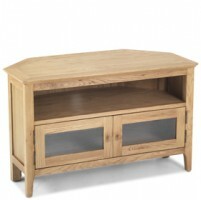 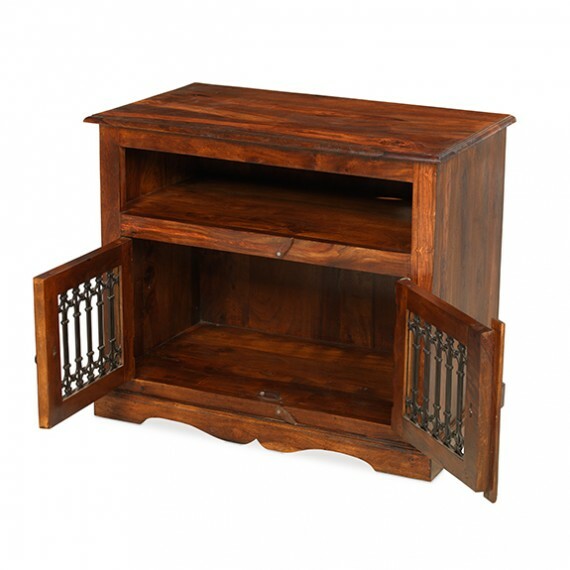 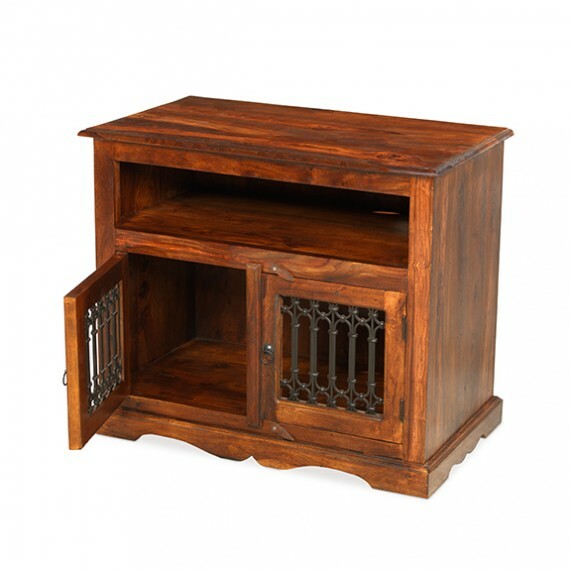 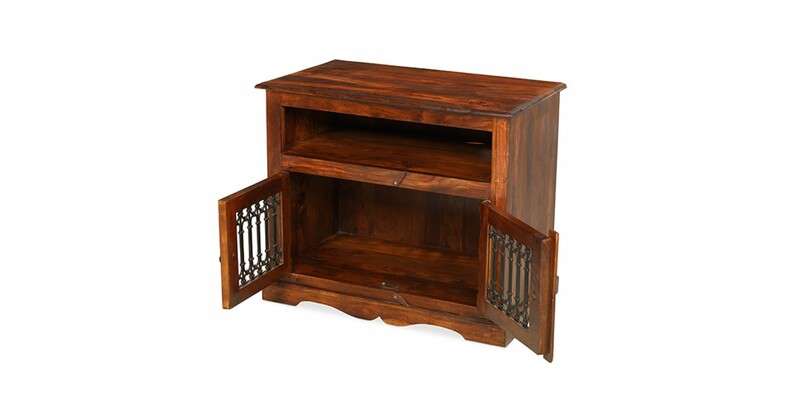 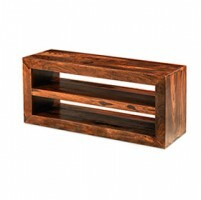 Made from sheesham wood, it does the practical stuff too, like taking care of your TV on top and housing your media devices in the open compartment. 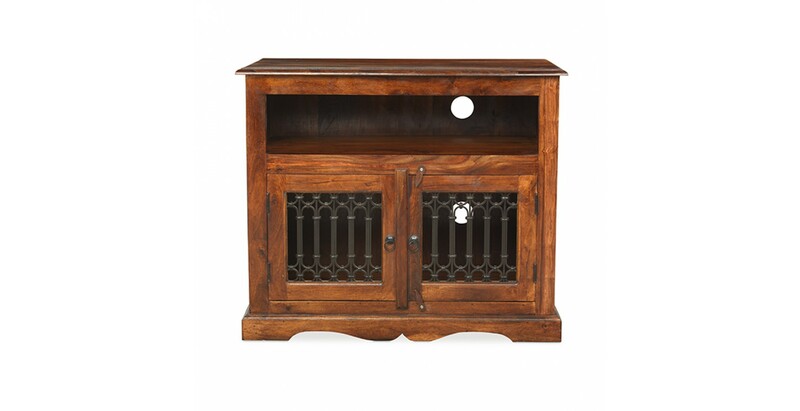 The spacious cupboard will look after DVDs, games and your games console, while holes in the back will carry away unsightly cables.